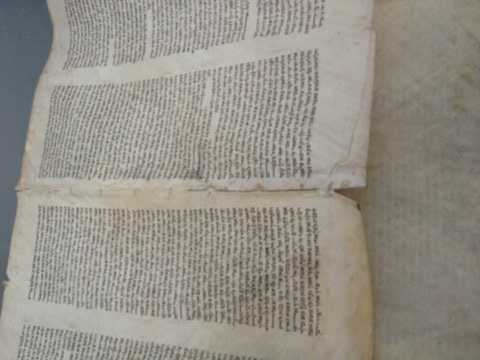 Overall look of the Sefer Torah with the broken Etz Chaim / rollers. 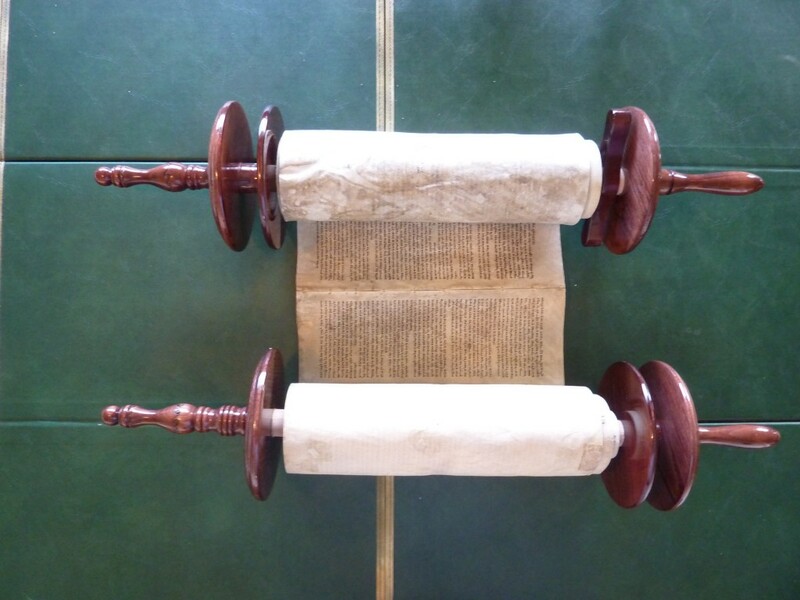 Devarim – Deuteronomy – the end of the Sefer Torah. this is the term used for simple, clean parchment without any lime / chalk paste. 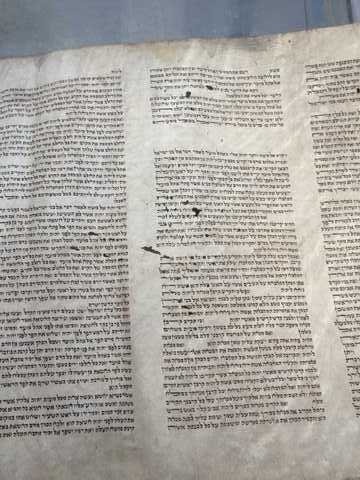 this is pasted parchment – can be pasted either on the outside of the Sefer Torah only or on both sides. 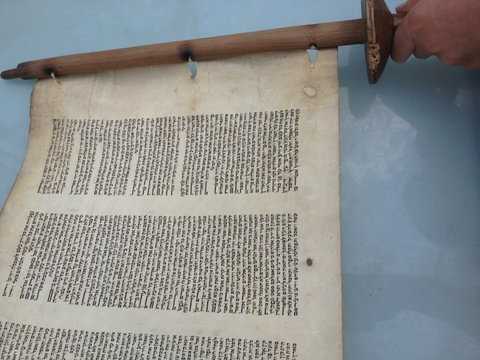 Since the 1960s this has been banned by the State of Israel, but on the outside only was popular on most Sifrei Torah from the 18th / 19th Century onwards. 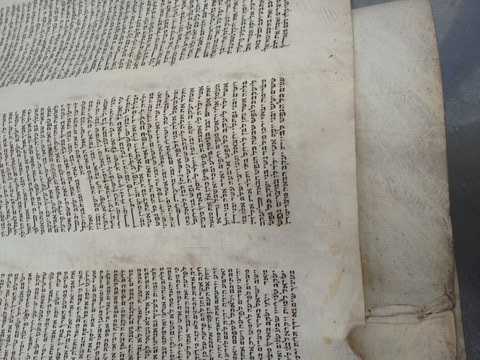 Sifrei Torah on Mashuach parchment, especially inside and outside are of lower value. 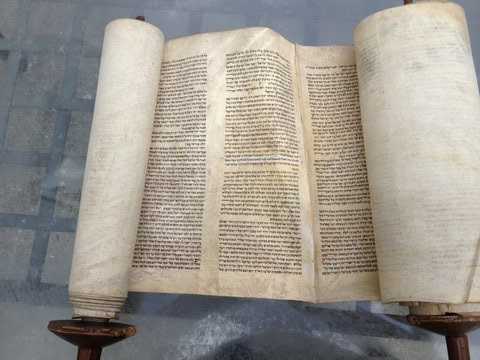 This is the term used to describe the beginning of each Amud – column. 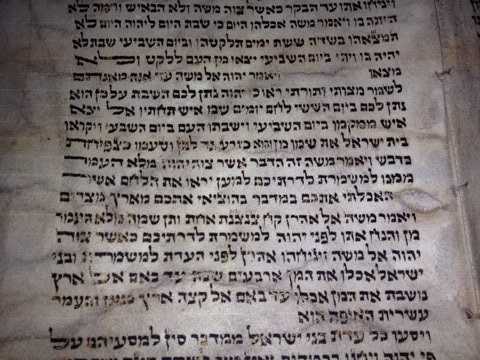 Sifrei Torah with Vavei amudim are always in demand as they are popular with the Baal Korei (person leyning). 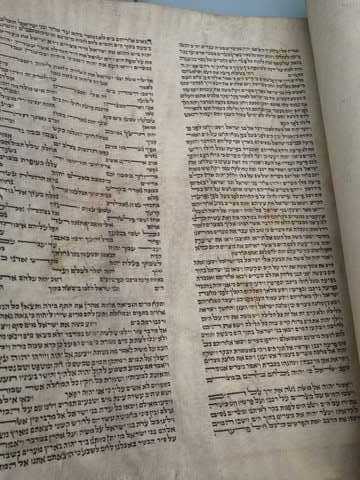 Further it standardises the layout and almost 100% of new Sifrei Torah written today are in this format. There are at least 3 variations to the standard 42 lines. 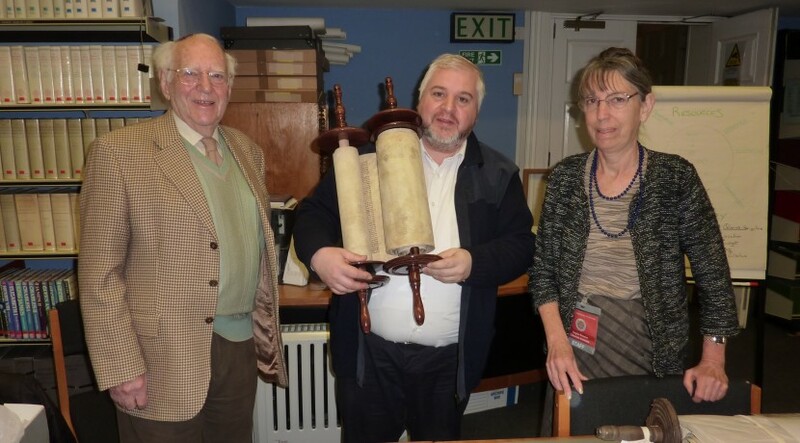 When reviewing this report, I would like to convey that whilst my work as a Sofer Magiah is corrective – restoring Sifrei Torah – it is also aimed very highly at encouraging congregations to bring back Sifrei Torah into rotating use in a Synagogue. 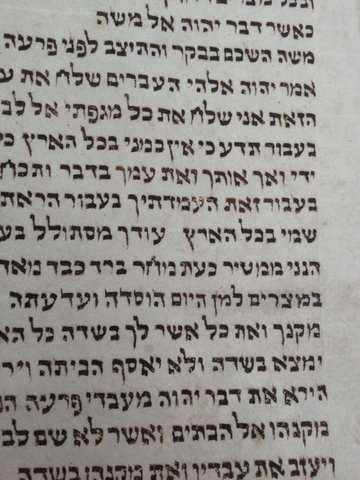 It should be noted that whilst letters can be corrected if they have peeled, or are very light it is impossible to correct every dark brown letter and it is only where the letter is feint or very faded in colour (ie very light brown) that there is a halachic need to correct it. Finally, one of the main aspects of my work is the preservation of the klaf skins and the writing. 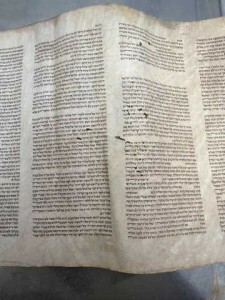 Although the procedures and skills of Safrus have not and will never change, we now have modern aids like computer checking, sprays, inks etc which are halachically permissible and help Sifrei Torah survive for future generations. Ashkenazi – medium clear writing. 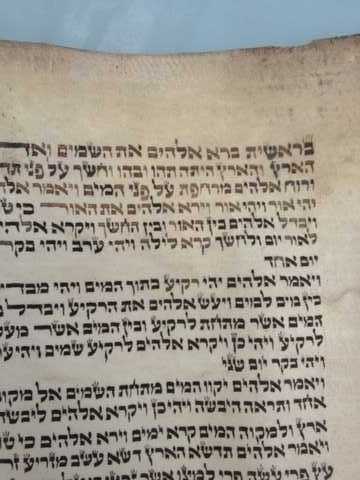 This Sefer Torah is more than 250 years old and comes from the German Bohemian areas, based on the type of writing. I understand that it has been in the Falmouth community and being small has certainly had good use. 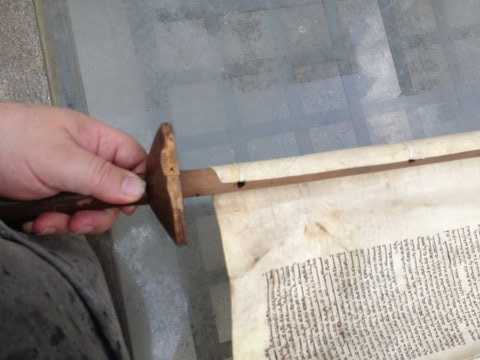 This Sefer Torah did have potential, subject to the above provision that all the letters needed attention as well as the holes in the parchment needed careful repair.